My Christmas stash is gone so needed to make some Christmas cards. When I saw this FREE image I thought it would make super cute cards and I have a friend that would love it! And I think my step-MIL will like this one too! One of my regulars needed a card for a friend of his and he didn’t have anything in mind. So I thought this would work. I sent him a photo and his response was “can I have that one for my mom instead!” He said she loves Cardinals. So then I had to think of another card for his friend (see button Christmas tree). I added stickles to the snowflakes and snow mounds but the snowflake sparkle didn’t show up very well. I used this card from Taylored Expressions as my inspiration. 1) December Inspirational Card Challenge @ Scrapbook.com – Lift Category – lift a card from Taylored Expressions blog or Pinterest. 2) December Scraplift your Favorites @ Scrapbook.com – Any Favorite. You can lift a favorite layout, a favorite card, a favorite sketch, a favorite project or whatever your favorites may be. It can be a favorite from anywhere (Pinterest, blog, scrapbook.com, etc). Digital Stamp: Warm Winter Snow @ Free Dearie Dolls Digi Stamps (she has three versions with and without snow) My husband then worked his magic and made it a color version with no snow. Accents/Tools: Darice snowflake embossing folder, Lawn Fawn Stitched Hillside Borders, Frosted Lace Stickles, EK Success 1/16 pop dots. I had an order for a lady that works in NY but has a cabin she lives in when not working. She loves to go to cabin and enjoy nature. So when I found The Great Outdoors Kit (or cheaper version is Camping Kids) at Imagine That Digi Shop I knew it would be perfect. I added an extra tree to my scene. Pop dotted the fire wood stack, chair and the knobs sticking out on the actually cabin to make it feel more real. I still haven’t quiet figured out how to make my grass longer than the die without leaving that little mark…if you know the secret please do tell. The lady loved it and has it displayed on her work desk to reminder her of “cabin life”. 1) Creative Link Up @ Imagine That Creative Playground – make a card and link it up. If you use an Imagine That Digi then you get the stamp of the month for free. My Godparents sent an email that their grandson’s teacher sent out. She asked for Valentine cards to be sent to the child at school so they could learn about different places in the world. So I asked what he likes being 6 yoa and in 1st grade and was told dinosaurs, Pokemon and Star Wars. Mary Ellen drew some cute dinosaurs at Free Dearie Dolls Digi Stamps so I used one of them. I decided for the squares to use small version of the states that the card was coming from (Missouri) and going to (California). I used MOJOMonday #482 sketch but instead of a circle inside I went with a jagged edge square. See next post for card without maps. 1) Feb Card Sketch Challenge @ Scrapbook.com – sketch #2. 2) Feb Inspirational Card Challenge – theme – love. Images: free maps on internet, Valentine Boy T-rex @ Free Dearie Dolls Digital Images. Since the dino is so cute and funny I decided he needed to be sent to my guy friend, Dale. I try to send Dale a card for each of the holidays…who doesn’t need happy mail?!! So I apparently put my paper in wrong in the embossing folder because the textured side go the indent embossing (not sure what that is called) so I decided to use it! I thought it worked great with getting the love/valentine theme across without being a lovey dovey card! I hope the dino makes him smile like it makes me! Images: Valentine Boy T-rex @ Free Dearie Dolls Digital Images. 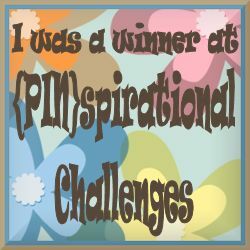 I used the colors from the May Inspirational Card Challenge – color category. I used MFTWSC182 sketch which was one of the sketches in last months April Inspirational Challenge. I used all scraps for this card. 1) May Inspirational Card Challenge – Color category. So the lady at work wanted a card for her BFF whose husband has been injured and not healing. Been a long road but they finally found out he has something that keeps him from healing. There is no cure but they can manage it now that they know he has it. My co-worker wanted to encourage her friend during this time. She found the “hang in there” card I did for my friend and said she wanted something similar. This is what I came up with. I used MOJO Sketch #446 for my inspiration. 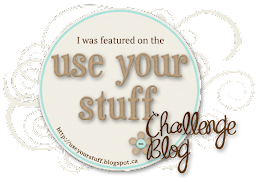 1) May Inspirational Card Challenge – Favorites Category – used a past MOJO sketch. Inside: I hope you have the Happiest Valentine Day in all the Kingdom. So a lady at work saw the princess birthday card I did and wanted a valentine one for her nieces. So I kept design same but placed a heart in the middle…tried to make it look like they were holding it. This is the last of the princess dies in the package so will have to make Christmas cards with the rest of the dies. 1) Feb Inspirational Card Challenge @ Scrapbook.com – favorites Category – sketch saved was Mojo Monday Sketch #433. So this is my 2nd attempt at the sketch category on the Feb Inspirational Card Challenge @ Scrapbook.com. Got closer but still don’t have the strip with sentiment on it. I got to use my brand new embossing folder I got for my birthday. I made up wish list at stores on internet and my husband picked from them. This one is from Taylored Expressions. I also got to use up Valentine scraps for the striped paper. My goal was to try to use up from my scraps and most of my Valentine Cards this year were made from scraps!! Happy Dance! 2) Creative Playground Challenge #1: Show Us Your Heart. 3) Customer Link up at Imagine That…Digis by Kris – use a Imagine That digi and make a project. Once you have made 10 projects you will get a $6.00 code to the store. Here is my card #5.